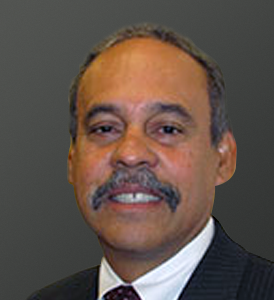 Dr. Tony Beliz is a licensed clinical and forensic psychologist who trains and lectures nationally and internationally on Behavioral Threat Assessment, Emerging Trends in Targeted Violence, Interviewing Strategies, and Trauma Event Management. Dr. Beliz consults to private and public educational institutions, security firms, and global corporations on risk assessment, risk management, and special circumstances. He trains educators, threat management teams, mental health providers, and law enforcement on violence threat risk assessment and has been featured on HBO, CNN, CBS, New York Times, and local media. As the former Deputy Director, Los Angeles County Department of Mental Health Emergency Outreach Bureau, Dr. Beliz developed and supervised the Los Angeles County School Threat Assessment Response Team (START), Special Prevention Unit (SPU), and other field based units. He has interviewed, consulted, or supervised over 800 cases involving students or individuals of concern. Dr. Beliz is an Instructor, University of Southern California Sol Price School of Public Policy, Safe Communities Initiative focused on countering violent extremism. He serves as Expert Witness for the Los Angeles County Superior Court and State of California Board of Psychology. He is a Diplomate in the American Academy of Experts in Traumatic Stress and American College of Forensic Examiners. Dr. Beliz was formerly Assistant Clinical Professor, Department of Psychiatry and Biobehavioral Sciences, UCLA School of Medicine and Clinical Fellow in Psychology, Department of Psychiatry, Harvard Medical School. He is a member of the Association of Threat Assessment Professionals, California Association of Hostage Negotiators, Infragard, and the American and California Psychological Associations.